**Consuming raw or undercooked meats, fish, shellfish or fresh eggs may increase your risk of food-borne illness, especially if you have certain medical conditions. Please no substitutions to the menu. Maximum of 6 credit cards per party. Our South Beach inspired cabanas offer a little bit of something for everyone. Each Cabana can hold 10 -12 people and are perfect for early evening cocktails & appetizers or for those looking to take in all things Southampton late night. Adjacent to our bustling dance floor, guests get to enjoy the pleasures of bottle service, people watching and easy access to the party! Multiple cabanas can be rented for larger groups based on availability.Area features our Small Bites Menu in addition to Cocktails & Bottle Service. Bottle / Drink minimums are based upon group, space and time desired. The library is located directly adjacent to the Main Indoor bar. Perfect for larger group dining affairs, for up to 24 people. Area is also perfect for small cocktail parties for up to 30 people. The VIP Stage is located at the head of our old world dining room which also turns into a bustling nightclub on weekends. With seating for 20 guests, this area is perfect for that larger party that wants to enjoy an elite dining experience and then stick around to host Southampton’s favorite late night bash! Multiple menus are offered in these two locations. Dinner is served from our Group Prix Fixe Menu. Bottle / Drink minimums are based upon group, space and time desired. An area for larger groups, this space can be set in a wide variety of manners to allow for larger groups for cocktail parties, corporate events, birthday parties or larger scale dining events. The Outdoor Cabana Area provides its own entrance, use of our 4 outdoor cabanas and your own private bar. This space can accommodate up to 75 people for dining and 150 for cocktails and hors d’oeuvres. Multiple menus are offered in this location. Passed Hors D’oeuvres, Cocktails, Stations and/or Dining Packages are required. 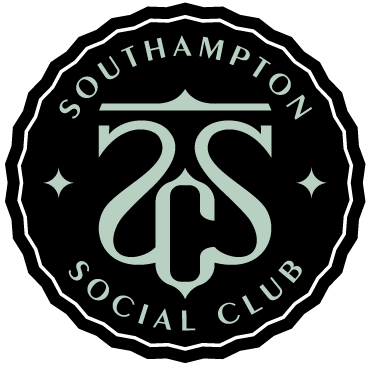 Southampton Social Club is available for all of your event needs. The venue features a wide variety of completely customizable menus from our award winning Executive Chef Scott Kampf, 3 Full Service Bars serving our Mixologist Crafted Cocktails, Indoor Dining in our Old World Inspired Dining Room, Lavish Outdoor Patio & 3000 Square foot Garden, South Beach Inspired Cabanas, with a Wide Variety of Different Entertainment options. Multiple menus are offered and the entire event will be customized to your particular liking. Site Fees / Minimums are coordinated on an individual basis and fluctuate based upon time of year. New York native Scott Kampf has been a professional chef for over two decades and has led an illustrious career with a focus on French-American cooking. His various honors along the way include the acclaimed Chaine des Rôtisseurs Award of Excellence and Star Chef’s People’s Choice Award. Kampf also had a stint as a team challenger on the Food Network's "Iron Chef America" and was later asked to appear on "Kitchen Nightmares." Kampf’s career largely consisted of work as a private chef for stars and professional athletes alike. He developed his natural cooking ability while living abroad and traveling around France, Italy and Spain to study international cuisine. It was there that Kampf learned about local fare and developed his unique, personal style as well as a taste for market fresh food. After returning stateside, he worked in different kitchens along the East coast and eventually landed in the Hamptons where he currently resides. His fresh interpretation of various cuisines has already earned Kampf a strong New York following. Kampf, who is widely regarded as one of the Hampton’s top chefs, was brought on by Southampton Social Club as part of a major overhaul. It will be at this Hamptons hotspot that Kampf will call on over twenty years of expertise to offer East End foodies an innovative menu crafted with the season’s finest and freshest ingredients.